As the demands of the modern world get tougher and we endure longer working hours, rising living costs and less time for relaxation, it is no wonder an increasing number of people are having trouble sleeping. One in 10 U.S. adults routinely has trouble getting to sleep or staying asleep, and 3 in 10 experience occasional sleeplessness. The fact is, we can’t turn off. We need to sleep but the mind won’t let go of the day, of existing problems and worries. We are sleepless, and our health is suffering. Lack of sleep has been linked to high blood pressure, weight gain and even episodes of psychosis, yet rather than lessen working hours and work at reducing stress, we are turning to pills for the relief we need. 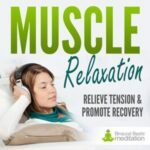 For those opposed to taking medication because of the risk of addiction and the side effects, of which one is tiredness (strangely enough), binaural beats mediation is one of a few holistic options. The big question, however, is can binaural beats actually make you sleep. The answer is a little technical, so bear with me. What binaural beats do is alter brain state, either increasing or decreasing brainwave activity, depending on the requirement of the user. The technology is used by millions of meditators worldwide, who seek fast, deep relaxation in order to enter meditation, something that takes Buddhist monks years of practice to achieve. Of course, when it comes to sleep we want brainwaves to decrease, and so, if it comes to 9 p.m., and you still feel wide-awake and somewhat stressed from your day, you could listen to a recording in the Theta zone to lower your brainwave activity. Closer to the time you sleep you might listen to a recording in the Delta zone to encourage even lower brainwave activity – Delta waves are produced in abundance during deep sleep. But there’s another very important aspect of using binaural beats that aids the natural sleep process, too. More than 1 in 4 (27% of Americans) say anxieties over personal finances, the economy or a job loss kept them awake in the previous month ~ (Source: National Sleep Foundation). Using binaural beats for relaxation on a regular basis will habitually entrain the brain to become more relaxed, particularly when used in specific situations where a mental association can be established. For example, if you struggle with leaving your work at the office and find yourself still with your work hat on when you get home, try listening to a binaural beats relaxation recording when you get home each night. By regularly shifting the brain state into a state of relaxation when you come home, over time the brain will begin to associate the home with relaxation. Over time, this will mean that by simply stepping through the door, there will be a physical change in your state of mind – from high-energy worker to relaxed, homely person. This change in state of mind (brain state) early on the evening will have a positive knock-on effect on the quality of your sleep. By the time you get into bed you’ll have been chilled out for a number of hours, making it easier for the brain to fall into the early stages of sleep when you get into bed. 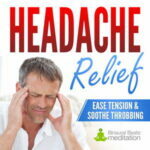 Binaural beats will not knock you out like a sleeping pill will, but as we know, the sleep you achieve with a pill is induced rather than naturally evoked. Binaural beats recordings are entirely natural and safe, and are just like listening to music. So, for example, if we sent a tone of 205 Hz to the left ear, and a tone of 210 Hz to the right ear, the brain will produce a binaural beat at 5 Hz, which, if listened to for more than a few minutes, will begin entraining the brain to the Theta state of deep relaxation. This process is technically termed ‘frequency following response’. Prescriptions for sleeping medications topped 56 million in 2008 – according to the research firm IMS Health. This figure was up 54% from 2004. Different binaural beats meditations are engineered for different purposes, some for low brain activity: for meditation and relaxation, anxiety relief and sleep, and others for high brain activity: to promote energy and increase learning capacity. If you are seeking deep relaxation, choose a Theta state meditation. 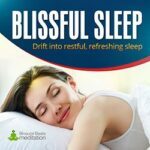 If you want something a little more powerful that will slow your brain right down and help put you in the sleep zone, choose a Delta recording like Blissful Sleep. If you are feeling very stressed out or suffering anxiety during the day and want to relax but not fall asleep, then try some an Alpha state meditation like Anxiety Release. The large majority of people are shocked at just how effective binaural beats are in inducing relaxation and sleepiness, and the large majority of those with sleeping difficulties find them a great help. If you aren’t keen on taking pills then it’s definitely worth trying this inexpensive, natural solution before committing to a prescription.